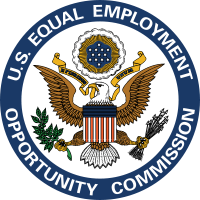 Tomorrow, the Houston office of Cozen O’Connor will be sponsoring an informative seminar, which will include guest speaker Joe Bontke from the EEOC. Joe is the Outreach Manager and Ombudsman for the Houston EEOC office and is an excellent speaker. If you have not signed up, please click on the link below, which has all of the details. Guests can also register at the door. Joining Joe will be Leila Clewis and Norasha L. Williams of Cozen O’Connor for this seminar being held from 8:30 to 11 a.m. at the Crowne Plaza Houston River Oaks, 2712 Southwest Freeway, Houston, TX 77098. Attending this event will earn you 2.0 hours of CLE – State Bar of Texas and 2.0 hours of CLE – SHRM. There is $40.00 registration fee, which includes valet parking.